Weddings are not just a joyful occasion but can also get quite stressful. Among various other things, choosing the right music band is also essential. It might seem hard to pick the right one for you but a few routine queries can make your life easy. 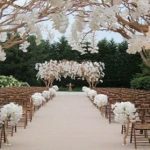 So there are certain questions that you should ask the band you intend to hire for scintillating wedding reception music. 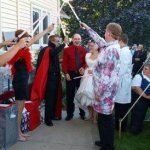 Your wedding is a big day and you want the best of everything and at the same time ensure there are no hiccups. Apart from the food and décor, you also want the best wedding entertainment in Ireland for your guests. So choosing the right music band is very essential. Wedding bands are not just any other band that you can choose and get to play. They are special and also need to understand the mood of a wedding audience which is not the same as that at a concert. So before you hire one get a lowdown on them and also ask a few questions. 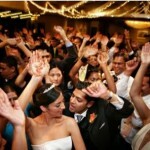 As it is a wedding, wedding entertainment is expected to revolve around the bride and the groom. The music should be about them and in some ways describe the two most important people of the day. Always as the band how do they ensure that the bride and the groom remain the focal point of the entire performance? 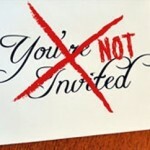 The guests should not get so lost in the music that the bride and the groom are sidelined. So you definitely need to know how they involve the two in their wedding reception music. Every music band has a USP and it is important to know the USP of the one you intend to hire. Certain bands have a fixed choice of music they play but that might not suit your needs. So hiring such a band will leave you feeling dissatisfied and that’s not what you want on your big day. So talk to them about your music preferences and if they are willing to mould their entertainment as per your needs. Variety is the spice of life and so it is needed to spice up your wedding too. Your wedding band should have a hold on various types of music and that too a good one. For eg. if the wedding band is expected to play in Ireland, it should be well versed with Irish music and the waltzes. If they have a lot more is their repertoire, it will add up to create a memorable evening. It is also important to know the different places they have been to for wedding performances. If a band has an experience of playing at different places, it is bound to know what works where. Besides, you know they are flexible and will not say no simply because of travelling issues. Also, they might also know most of the wedding venues. Lastly, ask them about few such wedding performances from where you can testify their worth. Talking to some previous clients of the band will help you make an informed and confident decision. Amidst all the wedding stress, you do not want to take on another one. So it is wise to clarify all doubts beforehand and not worry about the quality of entertainment on the big night. Clearing all your doubts with them is the only important thing. So be ready with a list of questions when enquiring about a wedding band. That’s all it takes.